Azerbaijan is expected to participate with the largest team of wrestlers at the upcoming second European Games in Minsk, said Anar Bagirov, director of the international relations department of the National Olympic Committee and the head of the mission of the Azerbaijani delegation at upcoming sporting eventson February 11. He noted that many licenses for participation in Euro-games have already been won by Azerbaijani athletes, most of them in gymnastics, Report.az informed. 'We expect that we will have the complete and the biggest wrestling team, added Bagirov. The Azerbaijani delegation at the European Games in Minsk will consist of 140 people. Approximately 80 of the total number are athletes, the rest of them are coaches, official representatives and technical staff. It is impossible to name the final number of representatives of Azerbaijan, since the accreditation process is just beginning, and as the situation changes, an athlete from the republic can participate in any kind of sport. "For example, we did not take badminton into account when calculating. But now in this sport there is a chance," he said. 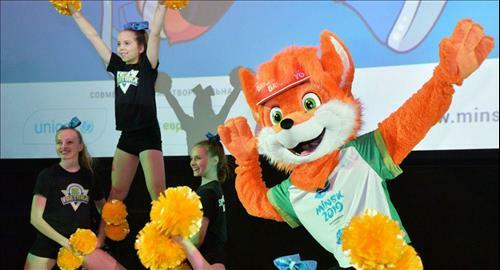 The second European Games will be held in the capital of Belarus, Minsk, from June 21 to 30 of this year. The first Euro games took place in Baku in the summer of 2015. During the meeting of the EOС General Assembly, held in Minsk on October 21, 2016, Minsk was selected as a host city for the second European Games. The logo of the games is "paparać-kvietka" a plant that plays an important role in the culture of the Slavs. The slogan of the event is Bright Year, Bright You, which also successfully points to the national domain of the Republic of Belarus and the official international shortening BY. The first European Games took place in Baku in the summer of 2015. It was the inaugural edition of the European Games, an international multi-sport event for athletes representing the National Olympic Committees (NOCs) of the European Olympic Committees. It featured almost 6,000 athletes from 50 countries competing in 20 sports, including 15 summer Olympic and 2 non-Olympic sports.